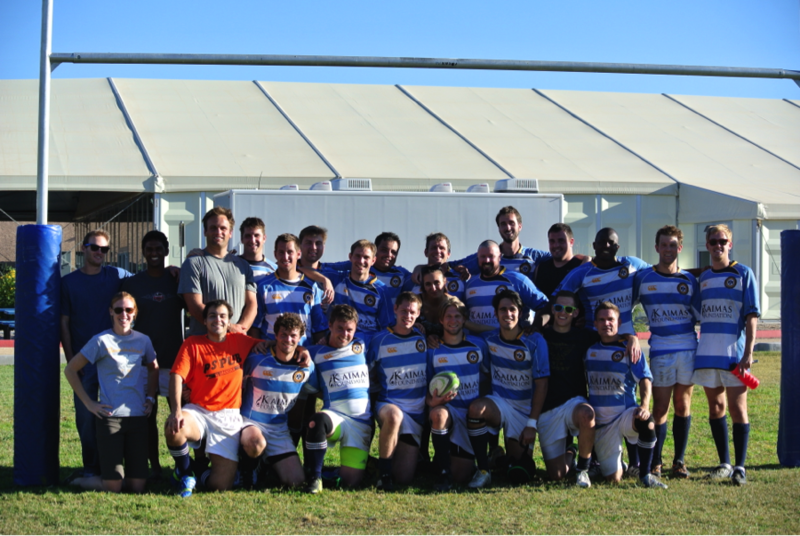 The 2013 Thunderbird Rugby team had a respectable showing at the MBA Rugby World Cup hosted by Duke this past weekend. The team scored the first points against Wharton, a perennial contender, but went down 31-7. Wharton’s captain spoke highly of Thunderbird, the team definitely gained respect. Next up was NYU. Thunderbird dominated from the opening kickoff, running in 5 tries and walking off with a 31-0 victory. The fine showing in pool play earned Thunderbird the 8th seed in knockout play. 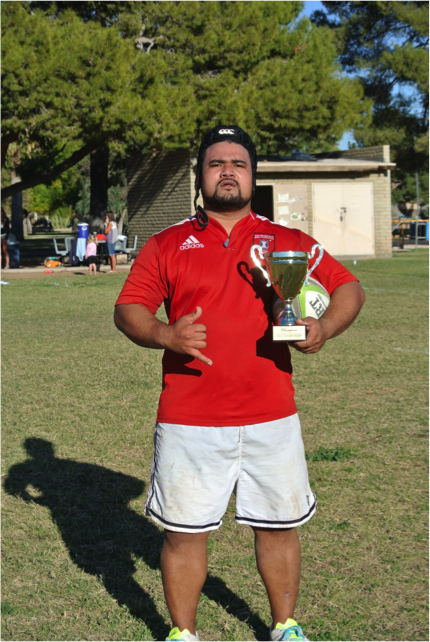 The hard grind of rugby began to show, and the team fell to a hard hitting Dartmouth side in the first round of championship play. 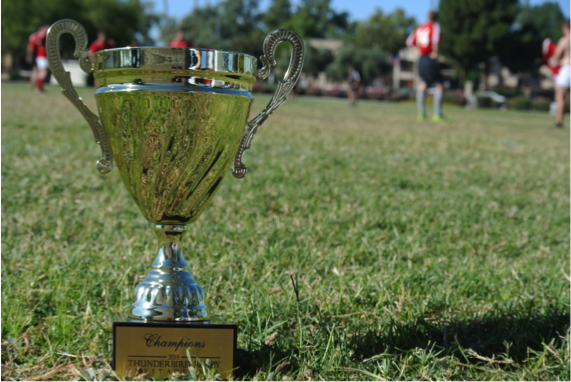 London Business School’s B side were the opponents for the Sunday morning match. With little sleep and even less warmup, Thunderbird took the field. 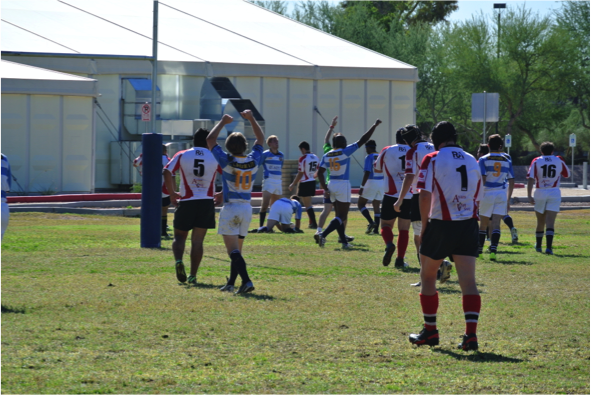 The final had the boys in blue and white on the losing end. 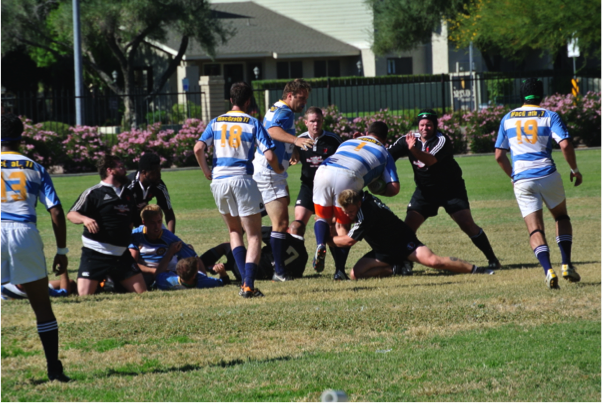 The team nursed it’s wounds and enjoyed the social aspect of rugby for the rest of the weekend. Some of our foreign players were even introduced to genuine southern moonshine, with predictable results!